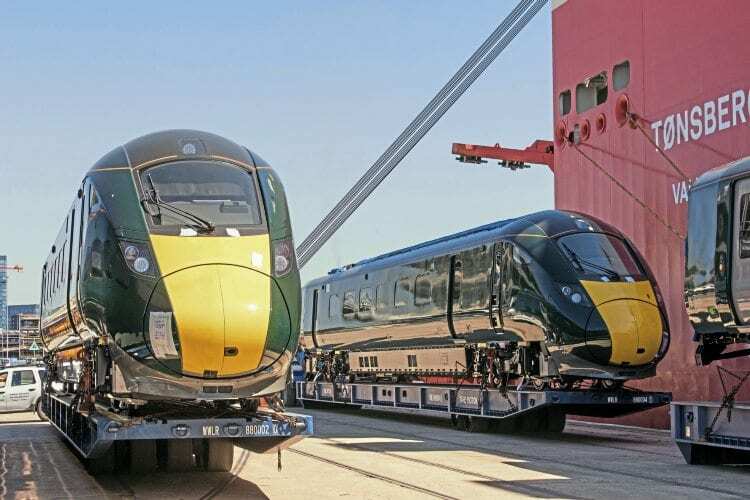 HITACHI’S first Intercity Express Train (IET) made its maiden voyage to Cornwall on June 22 as part of a through journey from London Paddington to Penzance. The Great Western Railway bi-mode Class 800 set Nos. 800003 and 800004 worked to the Cornish terminus as part of an expo event with Cornwall Council to showcase improved rail services for the South West. From 2017 this new fleet of trains will link London Paddington to Bristol and South Wales, and by 2018 another similar fleet will be working on services to Exeter, Plymouth and Penzance. Station and signalling upgrades are part of the package. Additional signals have been installed to reduce block section lengths to permit increased train capacity, seven level crossings have been upgraded, and the line south from Plymouth will be controlled from ’boxes at Plymouth, Lostwithiel and Roskear. 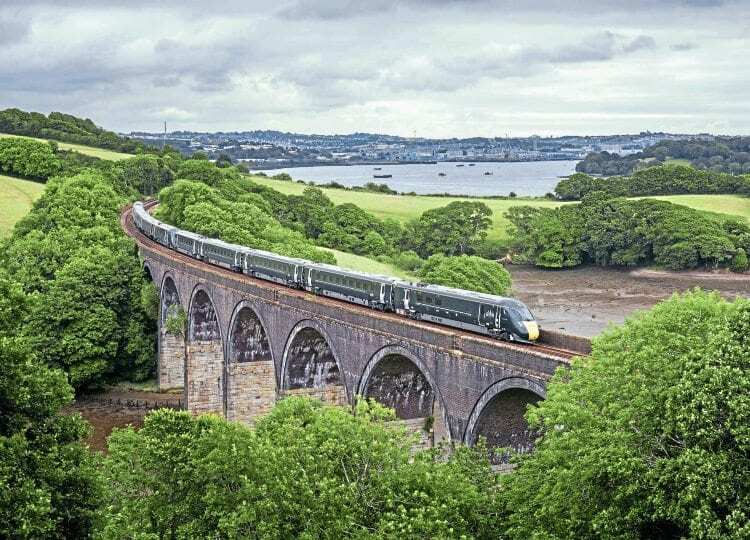 Network Rail is spending £12million on clearing lineside vegetation plus a further £10m for gauge clearance work and on platform extensions at Totnes and Devonport. GWR says that the trains are designed to withstand the region’s variable weather conditions, including that along the Dawlish coast. Passengers on the ‘Night Riviera’ sleeper service will also benefit from investment, with new seated carriages, a cocktail bar and refreshed berths that have hotel-style keyless door entry, USB charging ports and many other improvements. Technology will provide real-time journey updates and seat reservation screens.